Have you always wanted to gamble the night away at one of Las Vegas's many casinos? Or maybe you want to experience one of the country's greatest shows? Las Vegas is a bucket list trip for many people with so many unique experiences to offer. But, those experiences come at a price. It's no secret that this vacation can get costly fast. Luckily, there are some Las Vegas hacks that will help you keep your budget on track. Do you want to know what they are? Keep reading to discover 10 Las Vegas hacks you need to try for the best deals. What's the first thing that pops into your head when you think of Las Vegas? Casinos! No trip to Vegas would be complete without a good amount of gambling. One of the greatest Las Vegas secrets is to gamble on a Las Vegas Player's Card. You'll begin to accumulate points the more you gamble. After a while, you may have enough to snag some great deals, like free shows, meals, or rooms! Do you like to plan your vacation nice and early? Nothing is worse than having your heart set on a show just to discover it's all sold out. But, don't worry - there are still some Las Vegas tips to help you. Scour the internet for early bird deals. 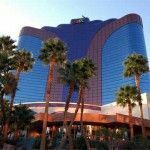 Sites like Las Vegas Jaunt often post discounts for a wide arrange of attractions and shows, so you'll get a great deal and be able to relax knowing you are all set to see the show. 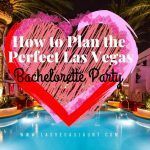 Do you want to experience one epic Las Vegas night "The Hangover" style? While you probably won't wake up with Mike Tyson's tiger, there's plenty of alcohol flowing to give you a crazy night. Many people hit the clubs for their booze-filled nights but end up spending tons of money. 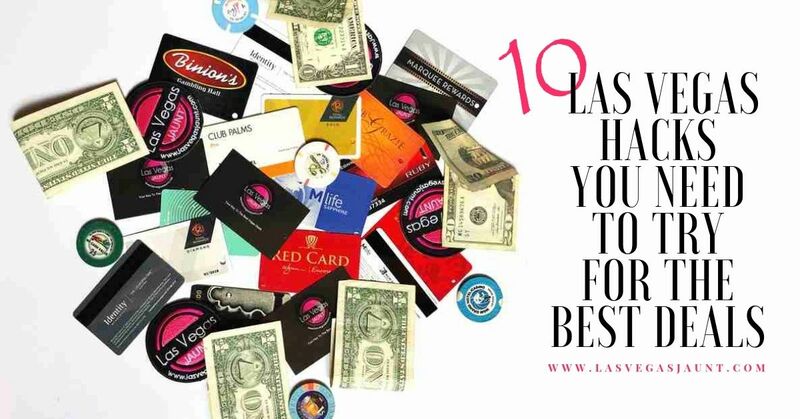 Club drinks are overpriced, and you could easily spend $100 in one night! One of the best Vegas hacks is to pregame at the casinos. Many offer free drinks to anyone who is gambling, even if you're taking your time on the penny slots. Go to the club once you'll already liquored up, so you only need to buy one or two drinks all night. If you ask anyone where they were in Vegas, you'll likely to get the same answer - the strip. Of course, no trip to Vegas would be complete without visiting this area, but you can find better deals elsewhere. One of the best Las Vegas secrets is that you can win more money at casinos off the strip because the local regulations favor looser slots. But don't just spend all your time gambling. 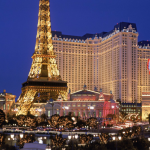 There are tons of things to do off the strip that will make your trip memorable. Do you have a long list of must-sees while you're in Las Vegas? If most of the things you want to do are located right on the strip, you may make plans just to walk. But, this can take longer than anticipated. With limited time in this city, you'll want to make the most of every second you have. Both Lyft and Uber are popular modes of transportation here. You won't have a problem finding a driver, even if it's 3:00 in the morning. Plus, they're cheaper than a taxi, so you'll have more money for the casinos! When reading Las Vegas tips, you're bound to find a few shows that peak your interest. Just like with anywhere else, some shows are great, and some are awful. Don't assume that because a show is expensive, it must be good. 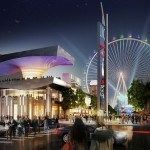 There are plenty of overpriced bad shows and, at the same time, amazing Las Vegas shows that are affordable. Before you book tickets, look at what people are saying online. Stay away from any shows with poor reviews, and spend your money on those with excellent reviews instead. The Las Vegas buffets are famous for their convenience and affordability. But if you want to save even more money on this Vegas hack, get the Buffet of Buffets deal. 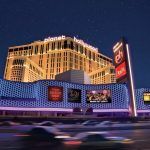 For $60 per person (or $75 on the weekends), you'll get unlimited dining at Harrahs, Paris, Flamingo, Rio, and Planet Hollywood buffets for 24 hours. This may seem expensive, but with the average buffet costing between $20 and $40 per meal, you could save a lot. Picking the right season to travel is one of the easiest Las Vegas hacks to save money. The holidays are over, kids are back in school, and most people are still resting off their Christmas hangovers. Historically, the strip tends to empty out a bit at this time. Just make sure to avoid the CES (Consumer Electronic Show) week which usually happens around second week of january and is one of the biggest convention of the year. The average weather at this time is hot, hot, hot. Simply put, many people do not want to deal with the blazing heat. Airfare prices are historically cheaper during the week. Hotel rates also drop. Book your trip over a Monday-Thursday and enjoy fewer people and less fees. Las Vegas is home to many famous conventions. While this is great for the influx of guests visiting, it may not be so great for you. Hotels can book up quickly. Furthermore, prices just tend to be steeper. Prior to booking, check out the convention center calendar to ensure your dates remain open. While you could save a lot of money by booking your trip in the winter, there are still some weeks to avoid. Major holidays, like Christmas, New Years, and Thanksgiving are some of the worst times to go. You'll have to deal with massive crowds and skyrocketed prices. However, prices tend to drop between these times. But be aware! Even though it's in the desert, the average Las Vegas temperature does get a little chilly in winter. You'll likely have to pack a coat and deal with some cold nights. Do you already know when you want to go to Vegas? Well, get booking now! One of the best Vegas hacks to save money is by booking your trip as early as possible. You can get great airfare and hotel deals. Plus, you'll have more options to choose from since most flights and hotels won't be filled up yet. If you're planning a trip to Las Vegas, you may be looking for ways to save money. And with the rising prices, we don't blame you! Just follow our top 10 Las Vegas hacks to save a ton of money on your next Vegas vacation. Did you find this article helpful? 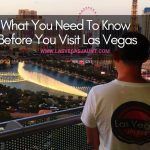 Check out our blog for more great Las Vegas tips and tricks.